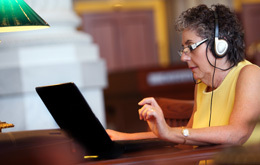 The Society is among the top five institutions for genealogy research in the U.S., and offers many resources to help you connect with your past. These resources help build the foundation of your family history research. Explore our physical and digital collections of census records for the U.S., Wisconsin, Canada and special U.S. Federal Schedules. Explore millions of pre-1907 Wisconsin Vital Records. Copies are also available for purchase. These resources cover what others have already written about the history of Wisconsin families and counties. Explore our physical and digital collections of local and county histories for Wisconsin, the U.S. and Canada. 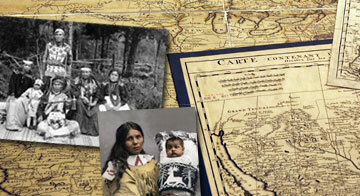 Research your ancestors using our physical and digital collections of over 40,000 U.S. and Canadian family histories. These resources provide additional information to help fill out the stories of your ancestors. The Society owns many small groups of published and unpublished records from churches and from public and private cemeteries around Wisconsin. Click on the links below to learn more about these resources. All have online materials for viewing and many more physical materials in the Society's Library and Archives.